Terry Jones writes, directs & acts in one of the great non-Python comedies with Python sensibilities. Ensemble cast great; timeless classic. It is the lot in life of former Monty Python members to have their works constantly compared to Python. This is not always a curse. Terry Jones has produced some of the finest comedic work of his generation. (As well as some great non-fiction stuff; check out his BBC documentaries about the Crusades and medieval times.) Erik was his first non-Python directing job and his second non-Python screenplay (he also wrote the Jim Henson directed Labyrinth). 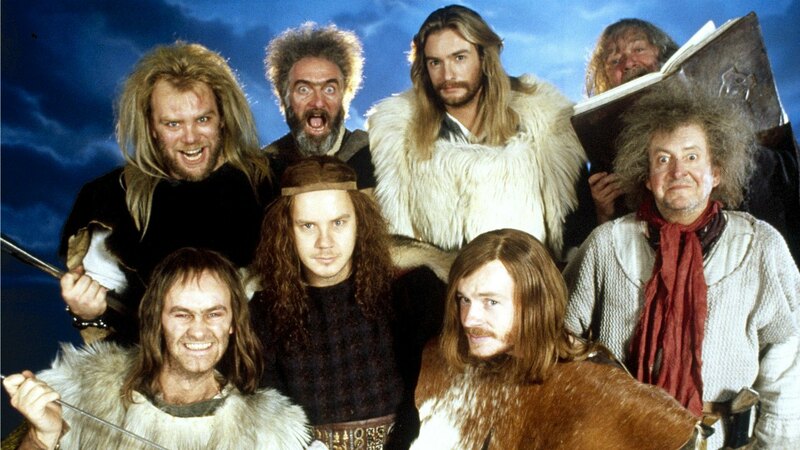 Erik the Viking follows along the same lines Jones explored in Holy Grail & Life of Brian, and it certainly is right in his wheelhouse, focusing on ancient myths and legends seen with his Welsh humor. If you’re getting the sense that this is all not taken very seriously, you’re spot on. Nor should it be. That’s not to say that there aren’t great cinematic scenes or that the story isn’t well-conceived with wonderful human moments, just that Jones knows his job well. 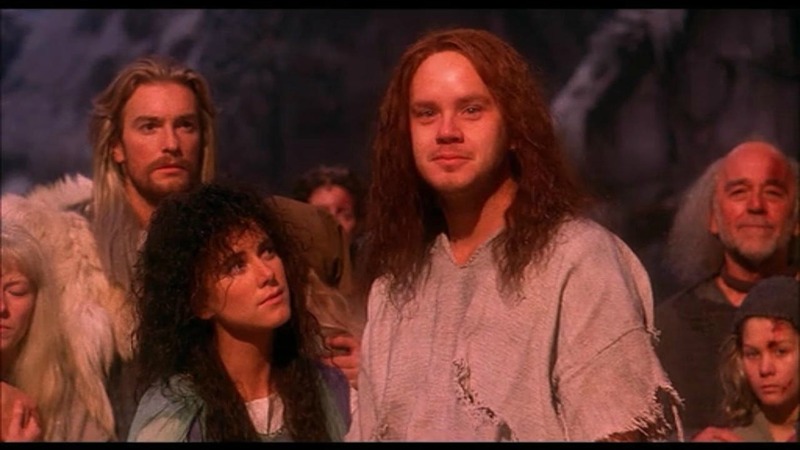 Tim Robbins has a standout performance as Erik. Sure, he’d soon go on to be a successful leading man in serious films, but remember that his early work was almost exclusively comedy and he is a fantastic comedic actor. Occasionally he remembers that and takes a comedic role and we are always better for it. Nicolas Cage & Tom Hulce were also approached about playing Erik, and either would have probably been great, but Robbins really makes it his role. The acting of the ensemble cast is top shelf. John Cleese stepped in for Jack Lemmon (still can’t quite see that) and brings his usual John Cleese goodness. Mickey Rooney has a small role and Eartha Kitt (!) dazzles as Freya (“The Lady”). The rest of the cast is largely English character actors who are proof that stardom is often the least important component in good casting. I got to know this movie through countless viewings on VHS. The film has an interesting release history; in theaters it was 107 minutes but Jones cut it down to 89 minutes for video because he thought it was too slow. Then he had his son edit it again for DVD and they tightened it to 75 minutes. Possibly the only time a director has willingly cut 30 minutes of his own footage. 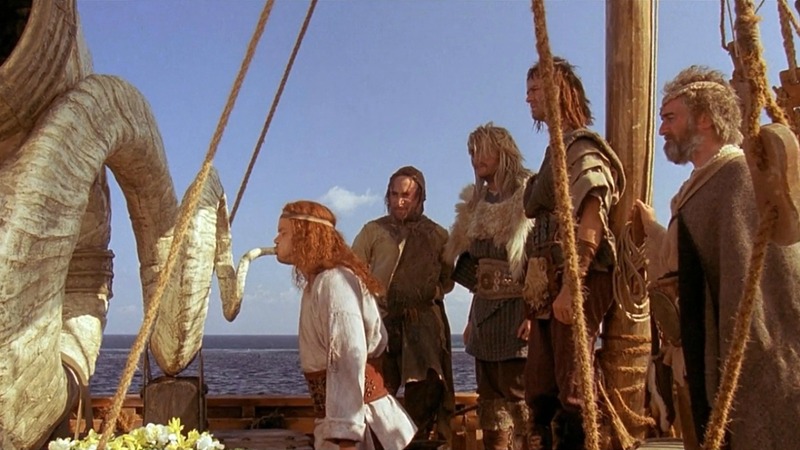 Erik the Viking is second only to A Fish Called Wanda as the greatest post-Python comedies made by former Pythons. It should sit on your shelf right next to Life of Brian & Holy Grail. Plot Erik the Viking and his men travel across the sea to find Valhalla to ask the gods to end the Age of Ragnarok. Tagline Be there… or beheaded!